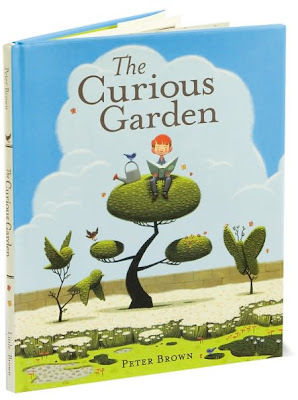 The Curious Garden, by Peter Brown, is a family favorite all year long, but it seems particularly appropriate for spring. It tells the story of a little boy who lives in a gray, dreary city...dreary, that is, until he nurtures a tiny, forgotten garden until it fills the city not only with greenery, but also with newly-inspired gardeners. My kids especially like to flip back and forth between the sad city in the first illustration and its vibrant twin on the last page. The whole book makes us want to plant something. Thanks for all the great book suggestions. We have read many of your reccommended books and love them. The Humbug witch was one of our favorites.